This 2 bedroom/1 bathroom house would make a great home for someone who doesn't mind a little updating. Sold as-is. Large kitchen, Hardwoods in bedrooms and living room. Full unfinished basement with outside access. 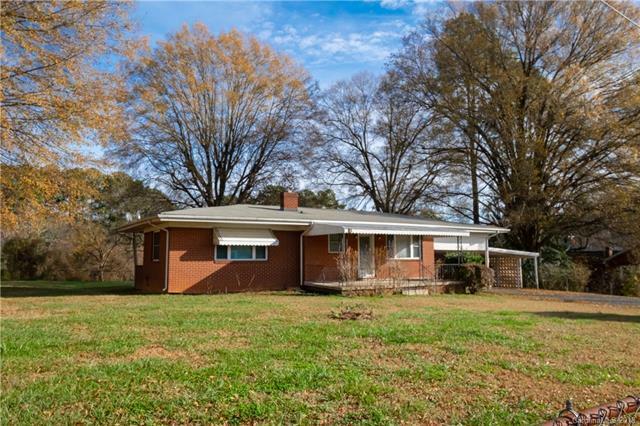 A large 1.34 acre lot, about half of which is fenced-in, with beautiful mature hardwoods and a shed out back. Back side of property has road frontage. Paved driveway. Don't let this property get away!! Offered by Jones Property Management & Realty, Inc.. Copyright 2019 Carolina Multiple Listing Services. All rights reserved.